Gillian Mears is one of my favourite authors. She has written just a handful of novels. Her first, The Mint Lawn, won the Vogel award in 1990 and is one of my favourites, along with Foal’s Bread, winner of the Prime Minister’s literary award in 2012. She writes about rural life in the northern rivers of NSW (she grew up in Grafton) but the real focus of her fiction is on family interactions, particularly with mothers, and sisters. Published in 1995, The Grass Sister, is about Able, a woman readying herself to read her sister Anne-Clare’s letters in an attempt to understand how or why she died several years earlier on an African mountain range. This is a story of memories, of sisters growing up, of a mother who had a profound influence on her daughters, and of how the the lives of parents and grandparents in England and Africa have shaped the girl’s lives. Slowly Anne-Clare’s life is revealed, both through Able’s memories and her discoveries in the letters. She travels to Africa with her father to try and understand what has happened to her sister, but it is the letters that tell more than any locals can. The tension of wanting to know what happened to Anne-Clare kept me turning the pages, though it is the beautiful writing l liked the most. Mears is unflinching in how she describes bodies, people and feelings and some of the things she writes about people are genuinely shocking. She also writes with such intense detail, its impossible not to admire her inventiveness in coming up with rich lives for her characters. And the details she notices are like no other writer I’ve read. The lives of these characters are often unhappy, and sometimes shocking and the story is a slow burn but for me, it is the beautiful writing that makes this a lovely but sad read. 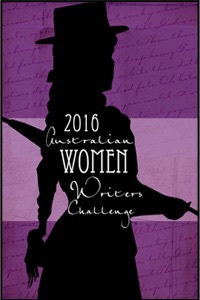 This entry was posted in Australian, Fiction and tagged Australian, Gillian Mears, The grass sister. Bookmark the permalink.